Thought Provoking, Inspirational, Insightful...Richmond's Quote of the Day. 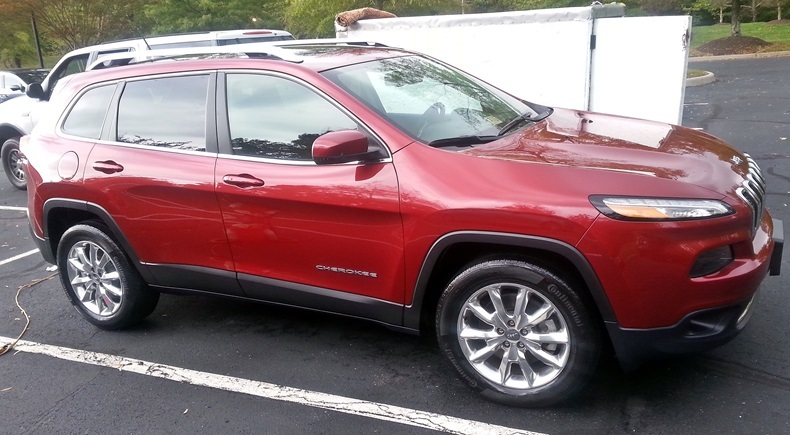 Here are a few pictures of an awesome looking Jeep that was recently serviced by the detail professionals at Wipe Me Down Mobile Detailing in Tuckahoe, VA. Wipe Me Down Mobile Detailing was recently named one of the best auto detail experts in Richmond. Thanks Expertise.com for the recognition! The detailing professionals at Wipe Me Down visited Bon Air, VA to restore this Honda CRV to its original glory. The entire exterior of the vehicle was detailed, but this picture highlights the intense cleaning the interior received. The carpet and floormats were thoroughly vacuumed. All spots and stains were then treated with either degreaser, enzyme based, or an oxygenated pre-treatment depending on the location and type of discoloration. Specially formulated shampoo was then used to clean the floormats and carpeting. All excess water and shampoo was extracted which removes dirt and grime and expedites drying. The leather was cleaned with leather cleaner then dressed with a mink oil based leather conditioner. All remaining surfaces were cleaned then dressed. This includes the dashboard, instrument panel, center console, cup holders, door panels, vents,etc. All windows were cleaned. The finishing touch is an ozone treatment which removes odors and leaves a neutral scent. Images from a recent detail. The trailer had been sitting under a tree essentially collecting dust. Enter Wipe Me Down Mobile detailing to make this antique look new again. Here are a few pictures from our latest Platinum Package detail. Another beautiful vehicle that needed just a little assistance from Wipe Me Down Mobile Detailing. After a complete interior and exterior detail, you can hardly tell that this vehicle ever looked anything but immaculate. Machine polishing and a hand wax restored this BMW's paint to a showroom shine. 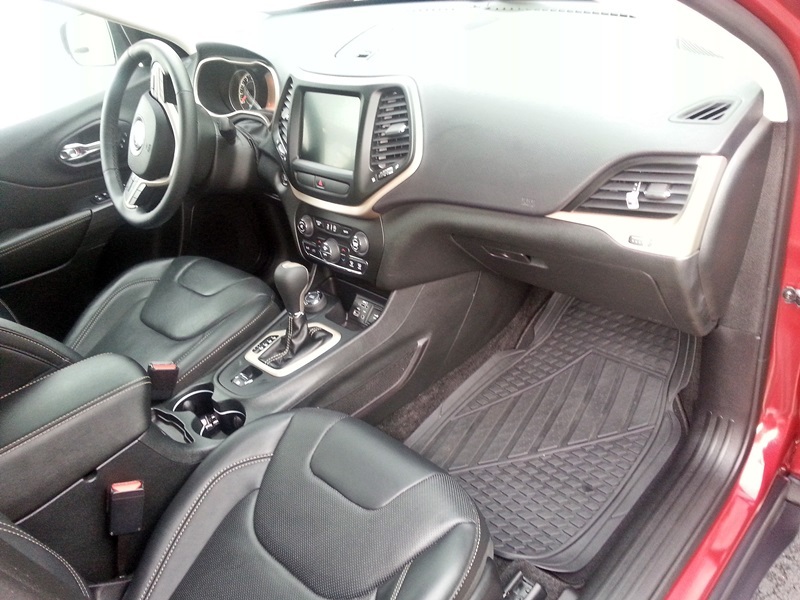 Leather cleaning and conditioning, shampooing, and a special attention to detail did the trick for the interior. We recently helped to restore this Mercedes to its original glory. Its a beautiful vehicle that needed a caring touch and Wipe Me Down Mobile Detailing obliged. From washing, polishing and waxing the exterior to cleaning, shampooing, conditioning and deodorizing the interior, this ML350 really received the royal treatment. We like to call it our Platinum Package. Schedule your detail today and your vehicle can get wiped down too! The wheelchair accessible van above only had the interior detailed, however we have the equipment and know-how to service any vehicle, inside and out. We understand perfectly that sometimes the vehicles that our disabled citizens utilize may need a require more special attention. The experienced technicians at Wipe Me Down Mobile Detailing will ensure that all the spots normally left untouched by Car Pool type car washes wiil receive the attention to detail they deserve. This particular van had its carpet vaccummed and shampooed, including the trunk area. The upholstery was shampooed as well. The trunk and door jambs were cleaned and shined using detailer's wax. All surfaces, including but not limited to door panels, center console, cupholders, instrument panel and the dashboard were wiped down, cleaned and conditioned. Windows were cleaned and the entire interior was deodorized. The Difference Between Wax, Glaze and Polish. This article is being written to give the average consumer a better understanding of the difference between wax, polish and glaze and how the 3 are best used. Wax protects and beautifies a paint’s finish by adding a protective layer on top of the clear coat that increases shine and may even fill in minor imperfections. Waxing however does not correct more severe imperfections such as oxidation, dullness or swirls. This is where polishing comes in. Polish is a substance that uses abrasives to remove layers of the top coat to correct imperfections. Quality polishes contain diminishing abrasives that break down into smaller particles as it is being worked into the top layers of clear coat. This evens outs the surface and gives your paint the “polished” look. Glaze may be used as a substitution to polishing; especially if you do not want to continuously remove layers of clear coat each time your vehicle is detailed. Glaze is an oil rich liquid that temporarily fills in and hides swirls and scratches. Using a glaze as opposed to polish is also beneficial on modern paint finishes which tend to be softer. In addition, it is not uncommon for a vehicle to be polished, then glazed to achieve the absolute best results. In any case, it is essential to seal in your polish or glaze work with a good wax, or call Wipe Me Down Mobile Detailing and we’ll handle everything for you! With the seasons changing and the colder months on our doorstep, the savvy vehicle owner may be dreading the havoc that winter can wreak on their shiny investment. Considering the harmful effects of ice, mud, sand and salt on your vehicle's paint is enough to make one cringe. Add to that the dead leaves, sap and bird droppings of Fall and we can all agree that now is an awesome time to take some proactive steps. Instead of waiting until next spring to try and correct the damage done to your paint's finish, applying a protective coating of wax on your vehicle, before temperature and conditions reach extremes, will greatly increase the longevity of your paint and the luster in its appearance. September and October typically have a more moderate climate than the preceding months which also make them ideal for servicing your vehicles's paint. So whether you decide to call Wipe Me Down Mobile Detailing or choose to take a more personal approach to the task, right now is an Awesome time to wax! This vehicle received our Silver Service. It was washed, waxed, vacuumed, shampooed, cleaned, conditioned, and Wiped all the way Down! Mobile Detailing at its finest. Wipe Me Down Mobile Detailing. peculiar living as they do. In advocating education as the most viable means of empowerment, I mean much more than our people’s ability to read and write. I mean a process of intellectual development that should last as long as there is life within us.